I'm pregnant and due with my first child in December. 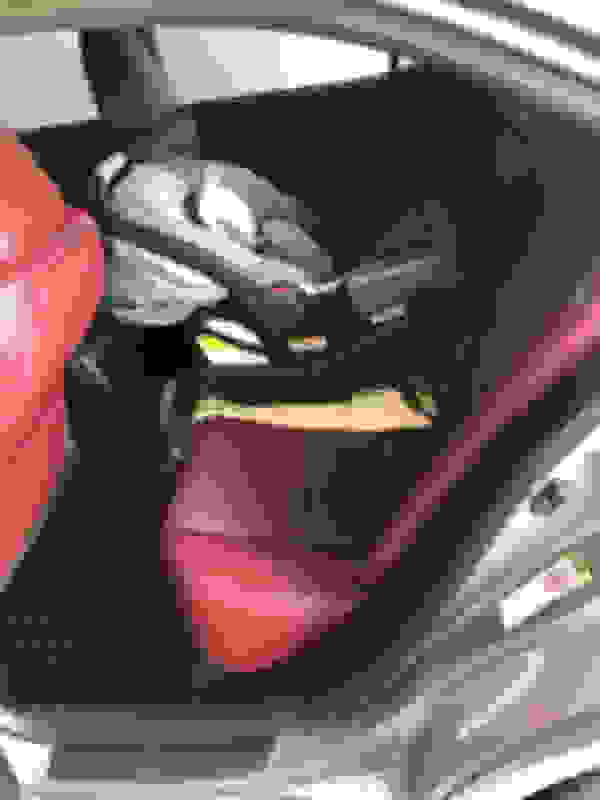 Has anyone had any issues with fitting an infant car seat with base of any specific brand in the back of the IS? Is a passenger still able to ride comfortably in front of the seat? Did you have any issues getting the car seat to sit level with how sharply the back seats angle downward? I'm assuming all should be ok, but infant seats and their bases are humongous. I think Babies R Us lets you test fit seats in your car, but I figured this might be faster/easier as a start. Thanks! congrats on your kid. I don't have kids myself, but I was suckered into helping my cousin research for baby seats. I believe all new seats sold now a days will come with various mounting solutions for all types of cars. One of which are hard mount points which clips into the back seat areas. the 3IS does have hard mounting points to make use of these seats. Refer to your owner's manual for the locations. I did have an infant seat in my 3IS for nearly a year. I had a Chico Keyfit. It's a great car seat. I used it in the right rear seat of my IS. Unfortunately, no, I was not able to have a passenger comfortably seated in the front seat when the car seat was locked into the base. I had to move the passenger seat well forward to accommodate it. It was a big part of what pushed me up to the GS. If you go someplace like Babies R Us, they will typically let you try out various seats in your car in the parking lot before you buy. I'd recommend this to see if you can find one that fits well. I was debating before our daughter was born if a car seat can work in the IS. And now almost 2 months later i can say that it fits nicely in the back, rear facing also for now. I can try to upload a picture tomorrow so you can visually see it better on how it fits. 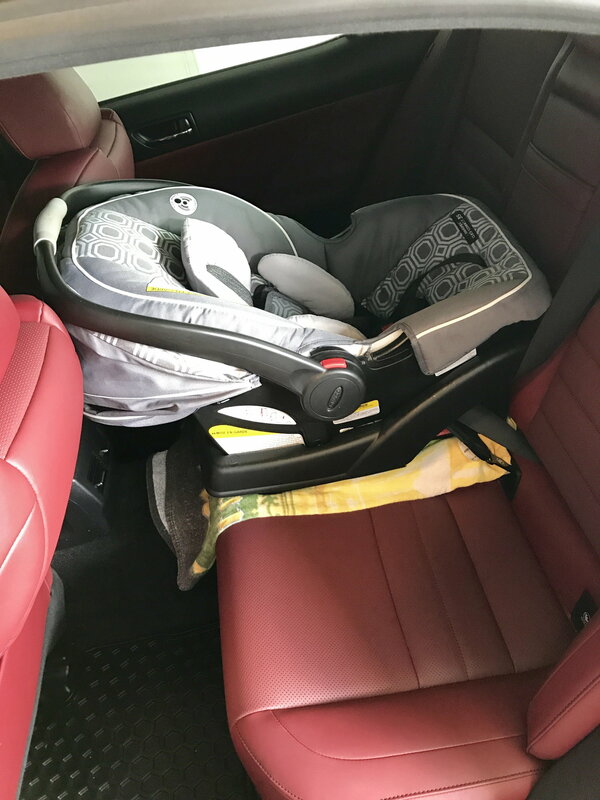 But with the car seat installed, there is lots of room for 2 more adults in the back and the front passengers are not affected by this at all, since we placed the car seat in the middle, safer spot for the baby in case something goes wrong, ie accidents, etc. Thank you so much for mentioning this! I read that the safest place is the middle seat, but I just assumed with how the middle seat looks in the IS that the seat wouldn't work there. So I'm really glad you mentioned that's what you do, we will definitely try that. If you are able to upload a photo at some point that would be super helpful. Also thanks everyone else for your input! Here are some pics I just took now, as you can see the car seat goes nice between the two front seats so the front passengers can go back pretty far with seat in the middle. Great to see it works in the middle. That wasn't a choice for us as we had two car seats back there. This is very helpful, thanks so much! Anytime! Also don't forget to place a towel or cloth under the base of the car seat like someone suggested already, reduce the risk of damage to those nice seats! Is anyone working on getting this working still??? Would love 3is seats! Seats mount perfectly... now if wiring and all sensors airbags work then I'm buying a set ASAP. i mounted a seat once for my grandson. it was easy and was very secure but it killed the leg room for the front seat passenger. mounting it between the back seats is great idea! I can only speak for the convertible car seat (not the infant seat that clicks into the base). 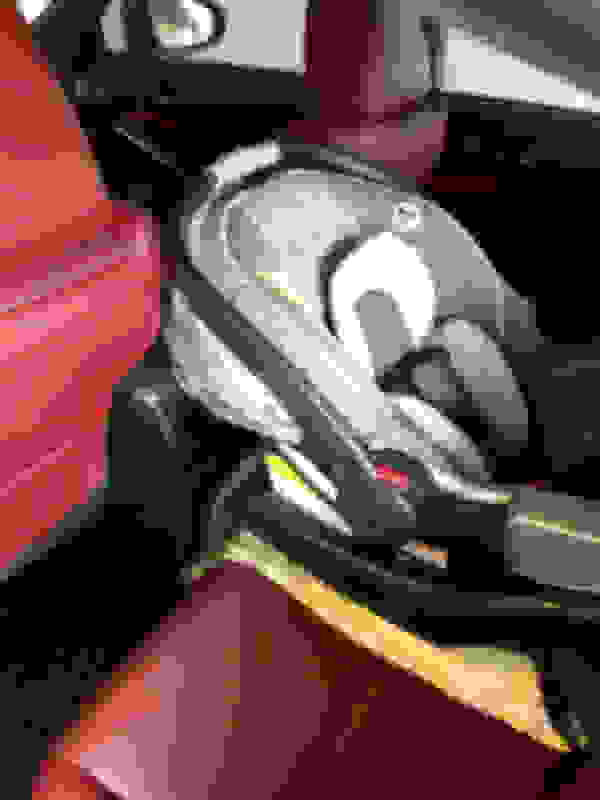 I had a Britax convertible for my younger son behind the passenger seat. When it was rear-facing, it basically eliminated leg room for the front seat passenger. However, when we switched it to front-facing when my son was bigger, both he and the front seat passenger had adequate leg room. Middle seat mounting is a good option assuming you only have one kid and/or don't need to bring anyone else is the back seat. Fact is, just not a ton of space in these cars to accommodate everyone comfortably. Thanks for bringing that up, Skiracer. I just put the car seat in the middle using the latches and it feels super snug and secure, but I was wondering about if the latches were meant to be used that way (i.e. one from each side to accomodate a middle car seat). Has anyone else heard this is a bad idea? I just don't like how loose things feel using the middle seatbelt.